Karl showed some pretty fantastic pieces for his Spring/Summer Chanel collection. He nixed some of the staple Chanel elements, but still included some fantastic jackets (both center images! ), classic black-and-white and pearls sprinkled throughout. Florence Welch also emerged from a shell and serenaded the show-goers. 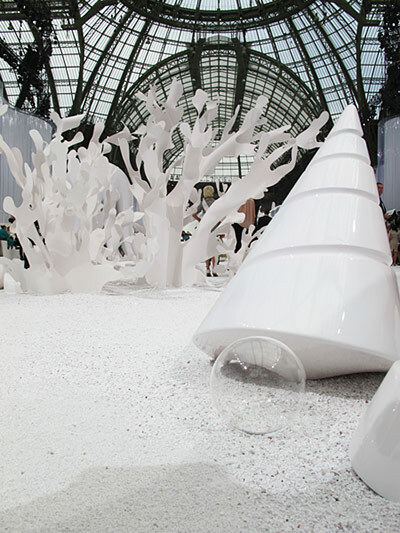 The sea floor, set in the Grand Palais in Paris. Absolument Incroyable.